When Chinese mobile manufacturer OnePlus on Wednesday revealed that its next smartphone will have an iPhone X-like notch, it might have surprised many fans. However, the company has gone on to its unconventional ways as it has launched a new teaser showcasing its own cryptocurrency. After the hype over Bitcoin, cryptocurrency has become the fad of 2018, as big companies have already jumped on the bandwagon. Similarly, OnePlus may unveil its own cryptocurrency initiative - perhaps a secure locker on the phone. However, there is a chance that the teaser could also be an early April Fool's prank by the company. OnePlus, known for its April Fool's pranks, in a 26-second video titled "Change is coming," suggested a cryptocurrency related announcement is about to take place in the coming days. In the video, the company's co-founder Carl Pei claimed that the manufacturer is now setting out to "reimagine one of the most fundamental elements of our everyday lives - currency." Also, a few seconds into the video, a text says "Blockchain Meets Never Settle." The company also shared the video via its Twitter handle along with the caption "It's not a coin toss. 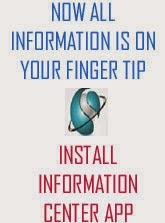 It's a better way." 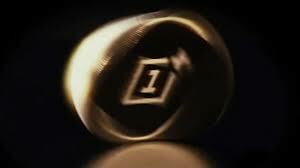 At the end of the video, there is a spinning gold-coloured coin with a OnePlus logo on one side and the face of Carl Pei, on the other. Interestingly, the coin comes with the text "E PLURIBUS PEI-UM which is similar to the traditional motto "E Pluribus Unum" in the US. However, the teaser should be taken with taken with a pinch of salt as previous examples like a "Game Changer Drone", and "Dash Energy Drink" are enough examples that suggest that the announcement has been done in jest in time for April Fool's Day. On the more serious side of things, OnePlus is expected to launch its latest smartphone - OnePlus 6 - in Q2 this year. While there have been several leaks and rumours surrounding the handset, the company has officially confirmed that it will join the industry trend of "notch" popularised by Apple and even provided an image of how the notch will look on its next flagship alongside exact dimensions. Pei had made the revelations in an interview that also explained the Chinese company's motivations for the move.